Windows improve the look of your home, let in fresh air, and make your house more energy-efficient. This guide will explore the benefits of keeping your windows clean all year round. You will also find valuable tips on how to hire the right professionals for the job. When your windows are dirty, they wear down and lose their functionality more quickly. While many homeowners have tackled the task of window cleaning on their own, the benefits of professional window cleaning are significant. Professional window washing may not always fit into one’s budget, but the advantages of hiring a pro for this job are well worth pursuing. There are many reasons to hire a service to keep your windows sparkling. 1. Professional Window Cleaning Offers Better Results. Just as professional detailers can bring a showroom shine to just about any vehicle, professional window washing will leave your panes looking clear and free from grime. Your contractors will use professional-grade equipment and cleaning solutions. They’ll also be able to reach all your windows safely so that each one will be thoroughly cleaned. Most able-bodied homeowners can wash their own windows, but when you compare the equipment, specialty cleaning solutions, and hours of experience a pro brings to the job, it’s easy to understand why so few homeowners produce the kind of results you get from a trained crew. 2. Professional Window Washing Doesn’t Cut Corners. Time is a precious commodity. 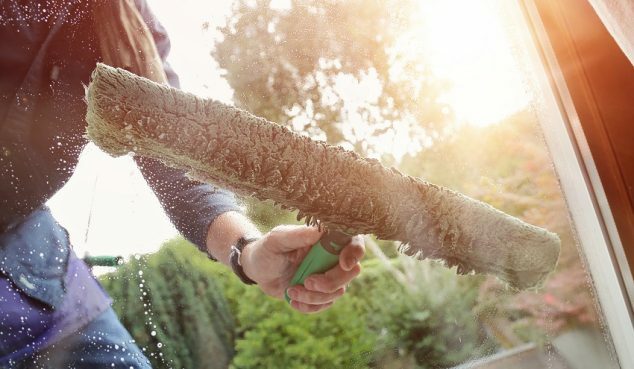 Though some DIY homeowners might view a weekend window-washing as recreation, most people would prefer to outsource the job. When DIY isn’t your passion, there will be a strong urge to cut corners and rush the project. On the other hand, paid professionals will clean your windows thoroughly because they take pride in their work and need to uphold their reputation. Since repeat business is dependent on excellent prior performance, your contractors will make sure that everything is spotless. They also have the right equipment to do the job well. 3. Cleaning Companies Are Affordable. 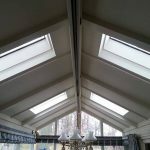 This is a low-cost job that can be comfortably budgeted into your regular home maintenance routine. The average cost to clean windows is around $200. While the typical range from contractors fluctuates between $150-$300, there are some that charge as little as $80, while others can charge more than $400. These prices depend on the size of your windows, the number of windows that need to be cleaned, and how dirty they are. Before you get sticker shock, let’s compare this with the cost of doing it yourself. 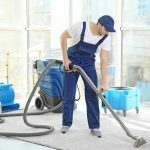 When you consider the cost of these tools, cleaning solutions, and your time, you can then understand how reasonable the professional charges are. Hiring a pro means you don’t need to buy any equipment or do the work. Undoubtedly, the cost of professional labor is well worth your dollar! You can even go the extra mile and get your blinds, screens, sills, and tracks cleaned. Some contractors include these in the window cleaning job as a courtesy, but others will charge separately. The cost to clean window treatments separately is around $200, with the national average prices ranging between $150 and $300. Low-end prices can fall to $80 while the most expensive average at $400. Clean windows make your home look better. This can make all the difference if you’re looking to resell your home or rent it. Windows that look well-maintained look great in online photos and appeal to prospective buyers. Need to find a window cleaner? Since window washing is hardly as complex a task as many other home improvement services, the potential for running into less-than-professional window cleaning companies is higher than it is for kitchen remodeling or basement finishing companies. Never hire window washers from a flyer on your car or ones drumming up business going door-to-door. Good contractors have happy customers. Research their reviews and ratings online. You’ll find plenty of authentic and honest reviews on local business databases and social media. You can also vet window cleaning services in your area. Professional window cleaners may also pursue certifications to enhance their expertise. For example, certifications from the IWCA (International Window Cleaning Association) are highly sought after. Standard homeowners can check if their contractor is “route residential certified”, which means that the contractor has passed four exams about residential window cleaning. If you have a commercial property, your contractors may carry the following four certifications, which means they have passed the exams about washing windows on complex high-rise buildings. Note: Though these certifications are valued, many window cleaners don’t have them. To find a qualified contractor, you can also ask a few vital questions. Are they licensed? If your state requires window cleaners to be licensed, this is a must. Are they insured? Proof of insurance can be emailed or faxed to you for quick verification. What chemicals will they use? If there is anyone sensitive to chemicals in the home, this is vital information. How much experience do they have with window washing? The more experience, the better. How long will the job take? 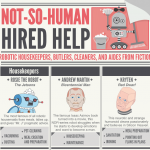 Be sure to hire someone who can do the job within a reasonable time. When can they come? Having a contractor who is available is convenient. How much will it cost? A professional should be able to give you an estimate over the phone. 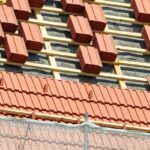 How much will it cost to include sills and screens? It’s best to know if these are included in the quote or if they will be an additional cost. Do they have references? Aside from checking online reviews, can they give you the numbers of a few happy customers and subcontractors? Will you get a contract? Having the job’s details written on paper and agreed on by both parties is not only professional—it protects you and makes sure the job will be completed on time. Before you call, have your questions prepared so you won’t forget anything. Professional window cleaners use a solution and special tools to clean your windows. They apply a special cleaning solution to the window with a spray bottle or hose. The simplest solution is just a blend of water and a small amount of dishwashing liquid. They may also use commercial solutions from brands like Unger, Noble, and SC Johnson Windex. They wipe away the solution with a squeegee. The class is completely dried with a microfiber towel to remove any remaining dirt or moisture. How Often Should You Clean Windows? Windows that are properly cleaned function better, look beautiful, and last longer. You should clean your windows once a month if you live in an area with lots of dirt and pollen. If you can’t manage that, then try to keep up with them at least twice a year. When is the Best Time to Clean Windows? The best time to clean windows is after spring and fall. Spring often leaves plenty of pollen and dander on the glass that can cloud its look. 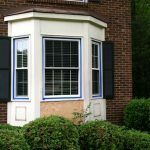 In the fall, leaves, dirt, and grime can coat the panes. Getting professional cleaners at least twice a year at these strategic times can keep your windows looking their best for most of the year. 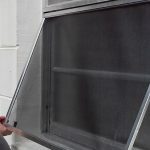 What’s the Difference Between a Residential and Commercial Window Washing Service? Because residential and commercial window washing have different needs, contractors typically specialize in one or the other. While residential window washing is simpler and requires fewer tools and know-how, commercial properties may require the use of scaffolds and rope descent systems. However, this doesn’t mean that a company can’t serve both residential and commercial properties. Requires sophisticated equipment and safety measures. Needs a healthy workforce to complete projects in a timely manner. Tall buildings and large windows are usually involved. There are usually more windows that are generally simpler in design. On average, commercial jobs cost more than residential ones. Can be a one-person job. Doesn’t require as much specialized equipment or safety measures. There are fewer windows involved, but they can be intricate and take more time to clean. On average, these jobs will cost less than commercial ones. How Do You Clean Outside Windows You Can’t Reach? Clean outside windows you can’t reach by hiring a pro. Your safety is priceless. Professional window cleaners can reach windows that an ordinary homeowner would have a tough time cleaning with regular ladders and ordinary department store tools. Hire a window washing professional? By using the tips from this guide, you’ll be able to find a great window washer in your area who will make your windows shine. I like the tip that you gave to ask a cleaning company about when they will be able to clean your windows. My wife and I want to find a cleaning service to help us clean our windows, and it is important for us to know that their schedule will match ours. 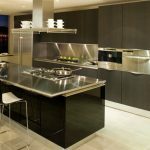 I will be sure to look for a cleaning service that can help us at the time that we need, so I can be confident in my decision to hire them.